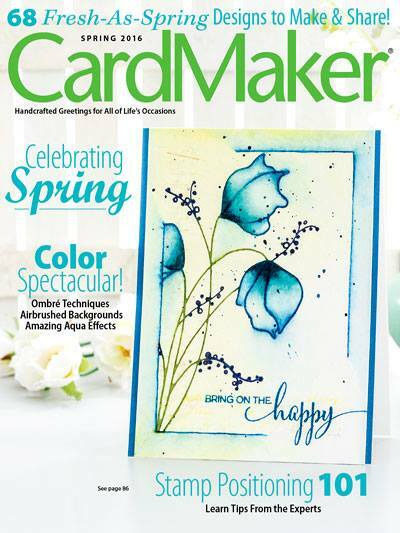 Such a simple card to create but am sooooo loving the colors. 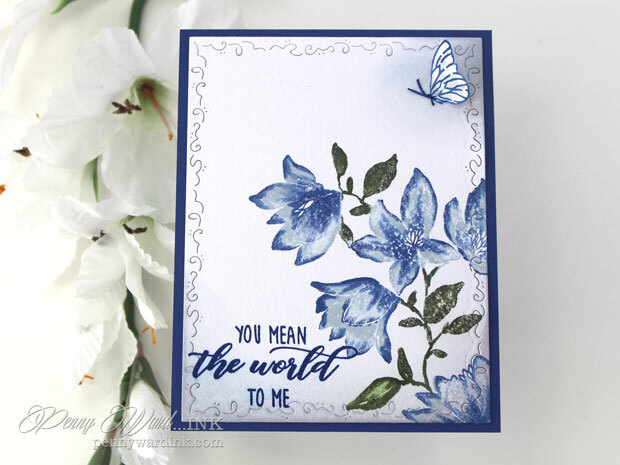 Using a Misti stamping tool makes Penny Black cling stamps so easy to create with. A dab of Spectrum Noir Baby Blue ink, then a little Midnight ink. 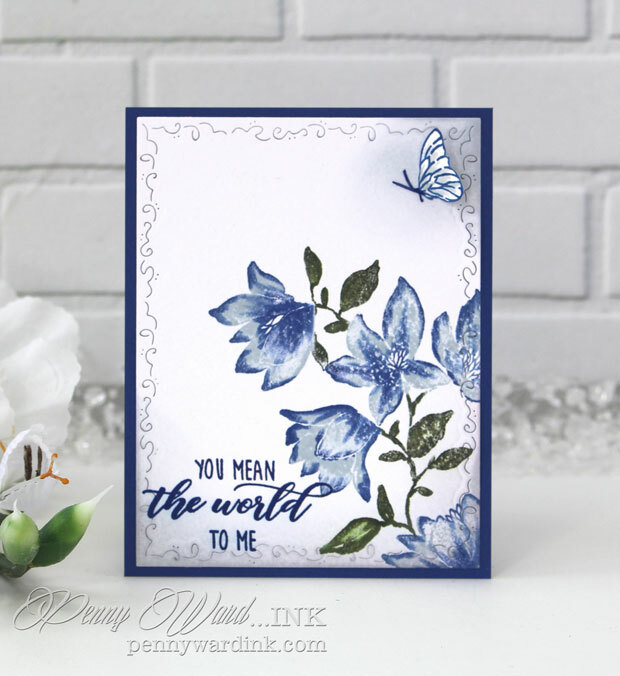 The gorgeous flower is At Grace by Penny Black. The greeting is from the Sentiments set. And of course the lovely Swirly Stitches frame die. 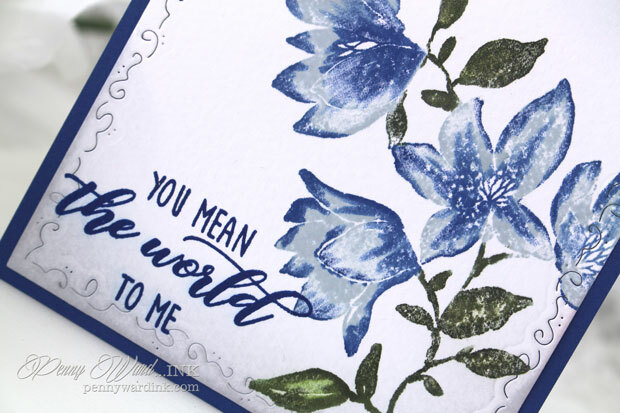 How beautiful is the new Timeless collection by Penny Black?